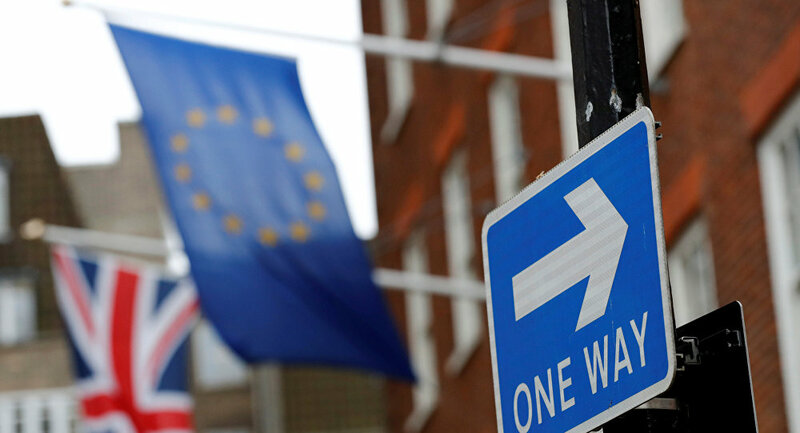 Radio Sputnik discussed the proposed extension of the Brexit transition period with Mark Garnett, a politics professor at Lancaster University and author of the book "From Anger to Apathy: The British Experience." Sputnik: In your view, how likely is it that the transition period for Brexit would be extended? It’s a bit like Groundhog Day, this question. What is your take on it? Mark Garnett: Well, if it was left simply to the European Union and to the British government, then it certainly would be extended, because it’s the best way of postponing a solution, which is still evading them. So, from that point of view, it’s really the only option that makes any kind of sense. The problem is they are not the only actors in this particular problem. So, I think, on balance, I’m afraid, because no other solution really seems to be in sight. The best thing is the phrase everyone has used: “kicking the can down the road” and I’m afraid, that can is going to get kicked a little bit more. Sputnik: Obviously in the general malaise of things, another extension will probably keep both parties happy, but this is the point, isn’t it? What reaction can we expect from the Brexiteers following these reports? Because they are just delaying the situation further and it is just going to cause greater divide within the Brexiteer/Remain cabinet. So, what can we expect from the Brexiteers? Is this now going to force the question of the position of prime minister to a fore? Mark Garnett: Well, the Brexiteers are clearly getting increasingly frustrated and the trouble is for them that, while the situation goes on, their own position that they held in the referendum, which rather implied that everything would be very easy, is being increasingly discredited, which means that they are being increasingly discredited. So, they are running out of patience, they probably ran out of patience a little while ago, but the problem is that in a way, the prime minister has quite a strong position in that the challenge for them is to come up with a solution and I’m afraid there doesn’t seem to be. The Irish border is a question which nobody considered during the referendum, but it really does seem to defy any kind of solution and that affects the Brexiteers just as much as Theresa May and the European Union. It’s a kind of a horrible stalemate on all sides, but something eventually, it seems to me, would have to give. The problem for the Brexiteers is, if they replace Mrs. May, they will have to start thinking of a solution, which as yet they haven’t managed. Sputnik: According to reports, May’s proposal comes as the UK is pushing for the Irish backstop proposal to be replaced. How likely is that to happen? When you think about this really simplistically, it’s just not going to happen. This particular question with the Irish border is just unmanageable. So, common sense has to prevail. Obviously, the EU is using this as their leading card. They know that this is the question, everyone is falling over and they can’t answer it. The interesting thing, from my point of view, is listening to an interview with, I think he was the CEO of BMW, and he was saying that it’s not just Britain that should be looked upon in terms of the potential pitfalls and the downslide of the economic situation; it’s very much going to affect the situation in the European Union and they need to wake up to this fact as well. So, there is a different side to the coin as well. What can you say about that? Mark Garnett: Well, going back to the backstop thing. I’m afraid the logic of reality increasingly points towards a solution in which the EU’s backstop position was that Northern Ireland should remain within the customs union and within the single market, that Northern Ireland would be a kind of a special case. Now, this has been rejected by the British government for the very important reason that that would mean Northern Ireland was treated differently from the rest of the United Kingdom. Whatever the British government thought, the government is dependent on the votes of the Democratic Unionist Party and they don’t want Northern Ireland to be treated differently from the rest of the United Kingdom; but the solution, then, is that the whole of the United Kingdom should remain part of the customs union and the single market. That is of course the solution, which eventually Labour, after a great deal of internal bickering, came up with that particular solution as the way to manage Brexit. Now, what you say about developments on the EU side — it seems to me that the only way in which the single market, the currency, the customs union could be acceptable to the majority of British opinion out in the country would be if there were things, like an end to free movement, etc. So, you see, I guess that logic is pointing towards a solution that is embraced, I think, would enjoy a majority in the House of Commons. However, the problem is that it would be impossible to sell that logical solution to the people who voted for Brexit in the referendum. So, again, “the can gets kicked,” because I would imagine that in the end Mrs. May is hoping for events to save the situation: either a technological solution, which would mean that Britain would leave the customs union and the single market, but there would be no hard border in Northern Ireland because technology would allow this flow of goods to pass pretty smoothly. She’s hoping that events will save her and of course the more that the can is kicked down the road, the more likely it is that she might survive until the general election, and the general election might produce just a very, very different outlook, a different House of Commons. It might be seen as a second referendum on the EU, which is currently ruled out, but a general election would be dominated by Brexit and so it could be that the events will come to save her. That’s what pragmatic politicians have always thought and she is essentially a pragmatic politician. The views and opinions expressed in this article are solely those of the contributor and do not necessarily reflect Sputnik's position.